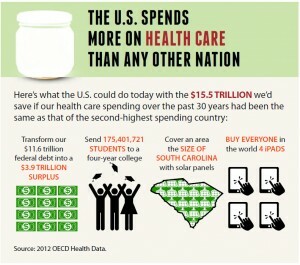 Medical Costs have become a behemoth, an unstoppable monster destroying American pocketbooks and savings. Yet, despite our uncontrollable spending our medical care does not prevent loved ones from slipping away at a high enough clip to justify its immense burden. 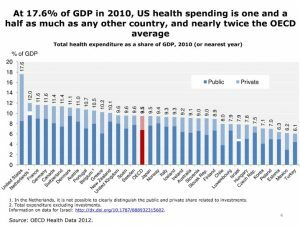 America has the highest medical costs of any country a full 17.6% of the GDP while the next highest country only uses 12%. Yet we are receiving nowhere near the best care with an average life expectancy of 78.7 while the OECD average is 79.8. Can we blame lifestyle for these extraordinary costs? 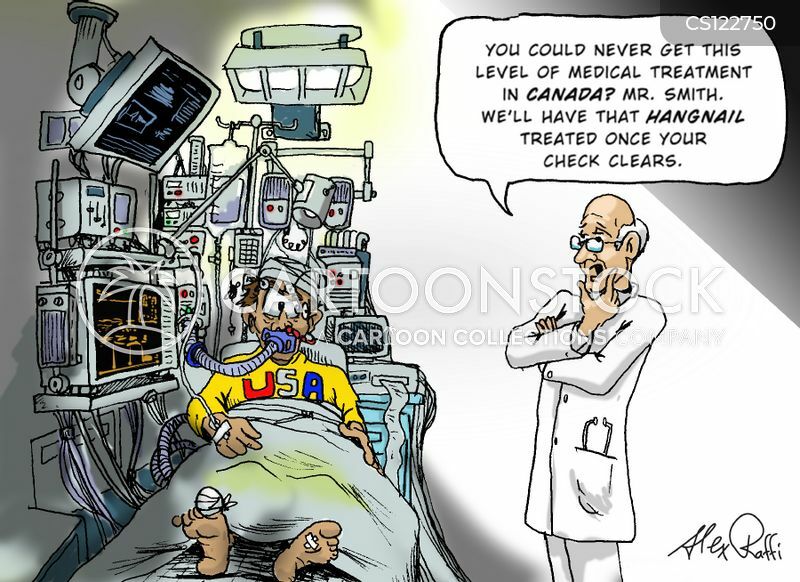 Is our healthcare actually the best in the world as is often claimed? But are the people partaking too fat from too many McDonald’s burgers and too busy to use the gym membership they signed up for after New Year’s? Is it the evil insurance companies raising prices for profit and creating death panels to deny coverage to the sick who would hurt their bottom line? Are these the culprits behind the skyrocketing costs of sometimes even simply seeing a doctor? Who is to blame? Turns out our current medical system is an elaborate maze where no one can fully see another’s hand. Even the mighty insurance companies have to fight and scrap in the darkness. This fog of war hurts one group of people the most, the consumer; the average American who needs medical care but is wary of the seemingly arbitrary cost of it. So where do you start to solve this problem? You start by identifying where the costs are coming from and illuminating the reasons behind them. 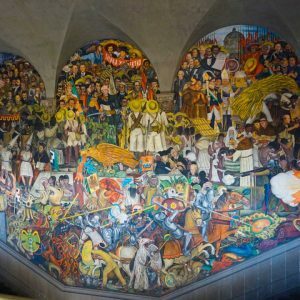 The Economist attempted to shine some light on the problem (here) and a series of articles by PBS (one of them here) did an excellent job identifying 7 reasons why the cost are high, but I’ve broken it down to 3. Using various reasons gleamed from experts, patients, doctors, and even insurance companies, I have highlighted 3 major reasons to help shine light on this incredibly expensive calamity. Dr. Atul Gawande a renowned surgeon and writer at for New Yorker (a recurring reference in this post) detailed the problem simply by dubbing it Overkill. Doctors are haunted by the tests they didn’t make that could have saved a patient’s life. Devastated by judgement calls that go the wrong way. Therefore, when new shiny technologies come that allow them to test for virtually any and everything, doctors say why not? Better to take the test and find nothing than to not take it and miss something. Also in conjunction with all these new tests are new drugs that treat this and that and are only marginally better if that then the drug that preceded them. This immediately reminded me of the story of the gangster with the only window repair shop in town. Simply put he would either accept payment for protection against damages to the windows and if they refused he would break their windows and they would have to get a new one from him. Textbook racketeering which sounds eerily similar to medical insurance and medical care. Doctors aren’t gangsters and the more apt analogy was made in Dr. Gawande’s article (which I highly suggest you read) that compared lube mechanics pushing more tests and services other than the oil change onto the consumer. However, unlike both examples a doctors’ primary concern is the health of their patients, they don’t need to charge for services to make a living they get paid by insurance either way? Or do they? And that brings me to the next reason. The American culture seems to have ingrained a philosophy that bigger is better and this philosophy has pervaded to our medical system. If your mom has a mysterious problem and the doctor says it’s probably nothing, but we can take this test to be sure. Precious few people would deny a test to their mother no matter how costly to be absolutely sure they were going to be OK. This comfort has a cost and this cost directly benefits the doctors. Currently most doctors are paid by a fee for service model that started around World War II, but can be traced throughout the history of medicine. Each medical procedure, test, or etc. has a multiplier called a relative value unit (RVU) based on time, effort, skill and other factors and that is multiplied by the Medicare base of about $40 to determine the cost of a procedure. The RVU is based on a complicated and flawed system that increases for the amount of training required and the complexity of the task. Notice the increase in the RVU has nothing to do with the value of care and it inflates the value of procedures much higher than the same procedure would be elsewhere in the world. Therefore, the doctors get paid and sometimes substantially more so for that extra test for the disease or condition that will almost never be there. They get to buy a new beach house by performing the invasive procedure that doesn’t improve your overall health in the slightest and sometimes in extreme cases they get kickbacks from home health providers to do things that are largely superfluous and by design expensive. The fee for service model encourages waste and offers little incentive for efficient care. 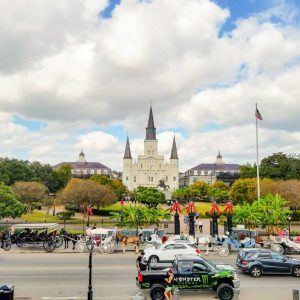 The American Medical Association (AMA) has become a powerful organization whose purpose was to provide a standard of care that benefits their patients. As a side job they took to ensuring the prestige of doctors and of course their pocketbooks. Thanks to their position of power they also stumbled upon a way for doctors to come across unimaginable wealth. Taking advantage of their position as the foremost experts by far of the medical field at the request of the government the AMA is asked to evaluate the RVU for different procedures. And almost unilaterally the government accepted every suggestion the AMA made by a committee of 29 doctors, 23 of whom are sub-specialists. Therefore, the multiplier applied to the base (which is about $40) dramatically increased for specialists time and procedures but remain virtually unchanged for primary care. This results in Unites States having nearly 70% of our doctors specialize where most countries only half do so. Pharmaceutical and other medical technology companies also work with doctors to push the newest drugs and technologies into the RVU system which pays a premium for new regardless of effectiveness. Also over time the AMA has encouraged states to pass laws on the books limiting the tasks that other medical professions such as advanced nurse practitioners and pharmacists can do making a doctor necessary for things that others can do often much cheaper in the name of “the patient’s safety”. The AMA also artificially limits the supply of doctors by limiting the amount of spots in medical school and residency and requiring foreign doctors to basically retake medical school (while also competing with American students for the limited number of spots) so that they can practice in the country. This has also resulting in the United States only having 2.4 physicians for every 1000 people well below the OECD average of 3.1 per 1000 people. The AMA also rigorously fights against any reform that allows insurance companies to negotiate prices branding them death panels and forcing them to compete among themselves often by raising payouts rather than negotiate prices with the hospitals which pushes prices higher. There have been a few groups of doctors across the decades to try to combat this waste in different ways. 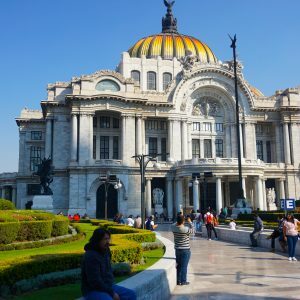 However, in the past other doctors have been ostracized for attempting to reign in cost most famously Dr. Micheal Shadid who believed that the fee for service method was inefficient and proved inadequate care. Therefore, he created a healthcare cooperative set at $50 a participant that focused on preventative care to provide cheap and efficient care to his patients. The AMA promptly tried to shut him down even with methods as extreme as revoking his license. Today, using similar ideas to Dr. Shadid’s health care cooperative, Obamacare encourages Accountable Care Organizations such as the Mayo clinic to try and reduce costs and emphasize preventative care. By doing so perhaps it will signal a fundamental shift prioritizing preventive care and efficiency or the status quo will return. The current healthcare landscape is a system that limits supply, increases demand by introducing a new test or drug or procedure, limits competition, limits the negotiation of prices, and uses doctor’s prestige and knowledge to justify all these actions. Therefore, doctors order up a new test to look for something inconsequential, diagnosis a problem that will not affect a patient’s life in any significant way, treat the disease with a highly specialized technology, prescribe the newest drug to treat the symptoms from the procedure, and profit immensely every step of the way. Since the government seeks advice from doctors there is little oversight to minimize inefficiencies. Because the insurance company’s negotiation power is hamstrung, doctors simply pass along the bills at inflated prices that insurers have to simply pay and in turn past the costs down to the customers. 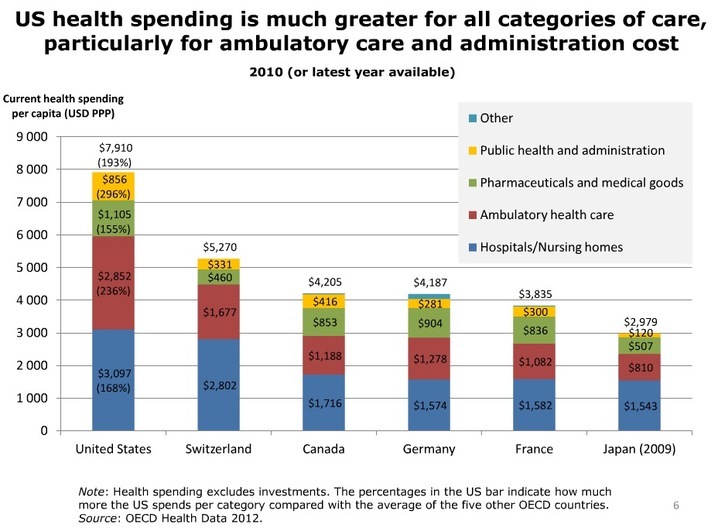 All of this has led up to the United States spending $2.6 trillion on healthcare, wasting $750 billion of that, falling significantly behind the rest of the world in cost (17.6% of the GDP vs. the OECD average of 9.5%), sporting a lower life expectancy (78.7 years vs. 78.9), fewer practicing doctors (2.4 per 1000 people vs. 3.1), and even a smaller number of hospital beds (2.6 per 1000 people vs. 3.4). Medical costs are the number one reason for bankruptcies and account for $750 billion per year in waste that could be used to pay for many other things i.e. free college. 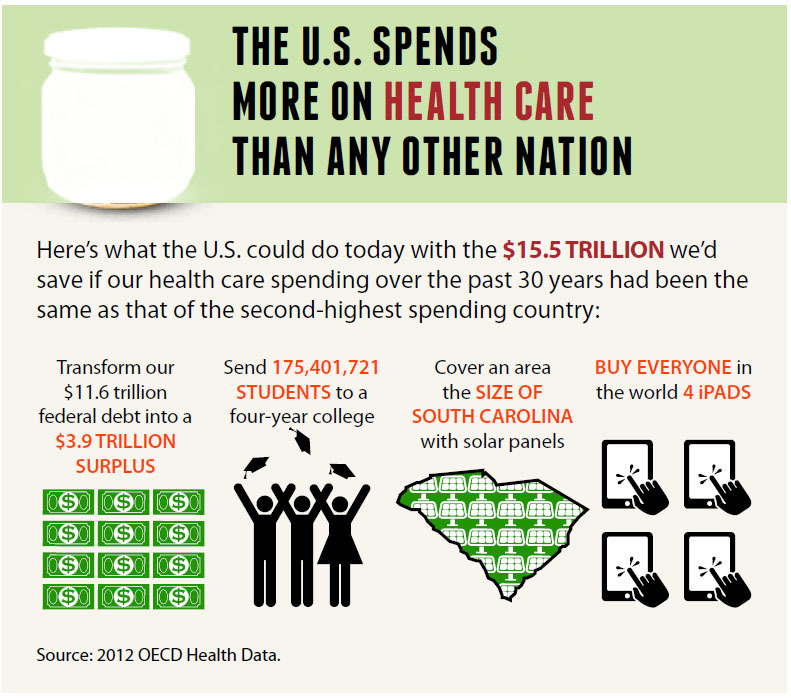 If the United States does nothing more than come to the halfway point between the next highest spender in healthcare costs we would have made an enormous leap. 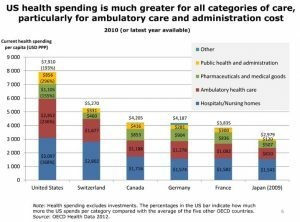 With so much money being wasted Americans must ask ourselves do we want to invest our money in mediocre healthcare or lower the costs and invest it somewhere else. Inefficiencies in Overtesting to Overdiagnosis to Overtreating – Accountable Care Organizations that seek to reduce cost and inefficiencies and are rewarded for doing so. High Cost of Services – Regulating the prices of healthcare by a global standard rather than a local one and/or reducing the AMA’s influence on the RVU. 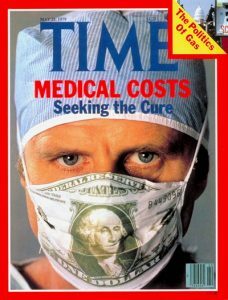 Cost Premiums for Newer Tests, Procedures, and Drugs – Investing more money in research at a graduate or professional school level rather than relying on the R&D departments of medical companies and then regulating the release of these to market by effectiveness and cost compared to pre-existing solutions. High Variance in Prices – Allowing insurance companies to band together to negotiate prices, comparing the prices here to the rest of the world giving them competition globally rather than locally, a single payer insurance system run by the government where there are cost ceilings, are all much better solutions that what we currently have. Shortage of Primary Care Professionals – Extending the lawful capabilities primary care up to medical professions who receive primary care training such as advanced nurse practitioners and pharmacists. Also reducing the gap in pay between specialists and primary care to reasonable amounts. As well as increasing the primary care residency funding to support hospitals to train more primary care doctors. Shortage of Doctors – Increase the number of medical schools. Shorten the length of retraining foreign doctors or even other advanced medical professionals have to do to become certified.